3.2 Joints – Night Clubs, Bars and Honky Tonks.. Wherever there was a microphone, an outlet and at least two people listening…. 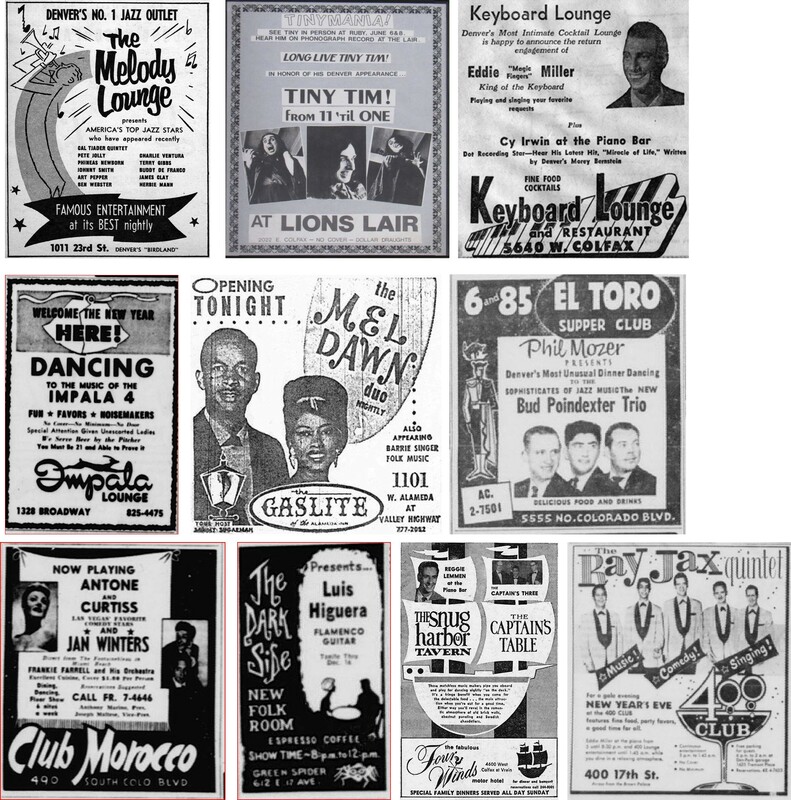 So the drummer and good friend Larry Higgins has related to me many times when a prod him for more information about the early rock and roll groups – especially in the Denver and front range area. Not to say they didn’t come into contact. I have learned that their paths crossed constantly or someone sat in for someone else or followed a band at a venue or competed at a ‘battle of the bands’ – On and on it goes. 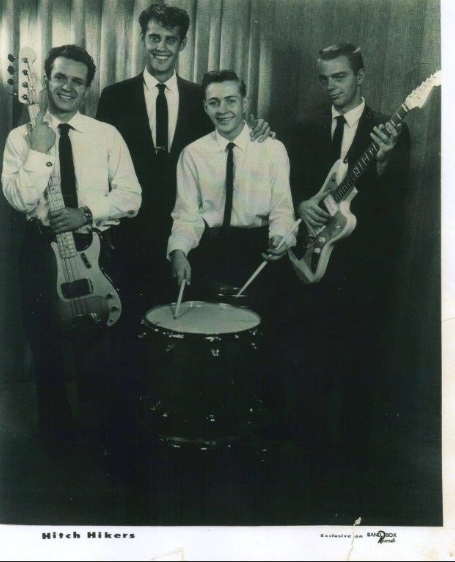 Larry was the drummer for Freddy and the Hitchhikers a group which formed in the late 1950’s and recorded on Band Box records. He was also with The Gigolos (sometimes called the Four Gigolos) fronted by Don May – and he drummed for the Daleks often up overlooking Denver from Sam’s on Lookout Mountain. If you sit with Larry for an hour you will learn more about the Colorado rock and roll and entertainment scene than you could possibly ever retain. And if you join him and “the boys” for a morning breakfast get-together – fasten your rock and roll seat belts. Between Larry along with Frankie Rino, Pete Tracy (Dean Carr and the Corvettes), Dave Barhite and Joe Holenbek (both of The Saints), Ray Sekera () you will obtain your master’s degree in Colorado rock and roll! Well, you get the picture because more likely than not – you were there – witnessing what rock and roll is truly all about…. A Walk down memory lane . You have done it once again ! Great job ! I posted link on Face Book ! I don’t think you will mind .